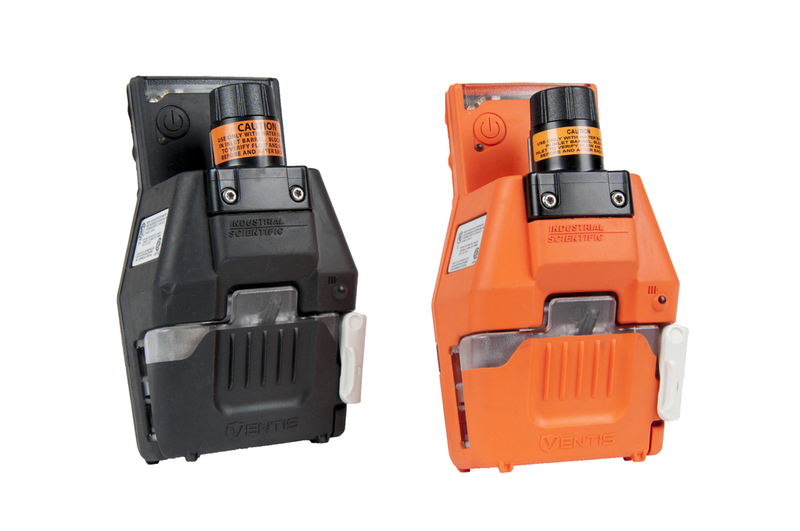 Available in black or safety orange and powered by its own battery pack, the slide-on pump is compatible with the Ventis MX4 and the Ventis Pro Series Multi-Gas Monitors. A sample draw distance of up to 50 feet provides convenient sampling in a wide range of applications. The pump is also easy to attach – no tools are required to attach or remove the Ventis Slide-on Pump to or from the monitor. The monitor and pump each use the same battery packs as Ventis, and can easily be exchanged between instruments. Three available battery options make this pump extremely flexible in the field.